It’s finally Frühling! This is our second and final spring in Vienna, and I’ve been taking full advantage of our city’s first bloom. 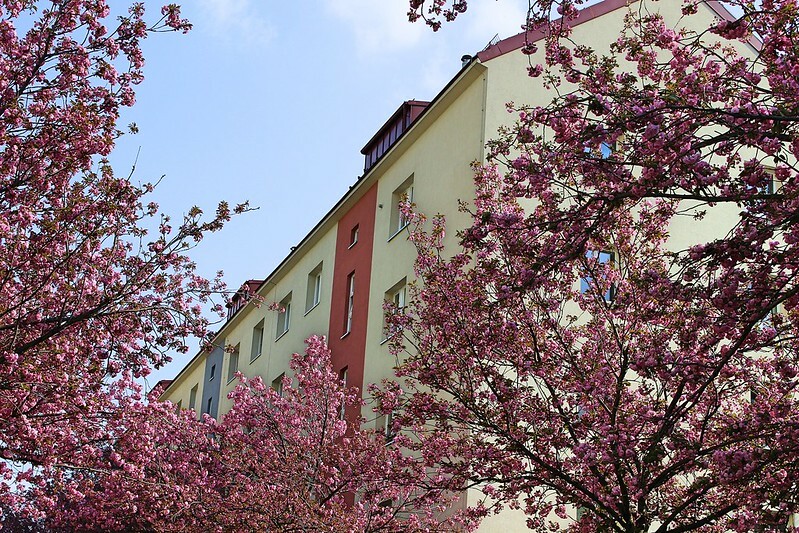 Female expats in Vienna love the city’s Japanese cherry blossoms. Seriously, we’re obsessed with taking selfies under the aromatic pink flowers and hunting for hidden trees in obscure parks and plazas. I like to think that we’re drawn to the cherry blossoms because they, like us internationals, have been transplanted from elsewhere but have learned to bloom anyway, if only for a short time. Or maybe we just like them because they smell good. Anyway, compared to other cities, Vienna was relatively late to the cherry blossom game. 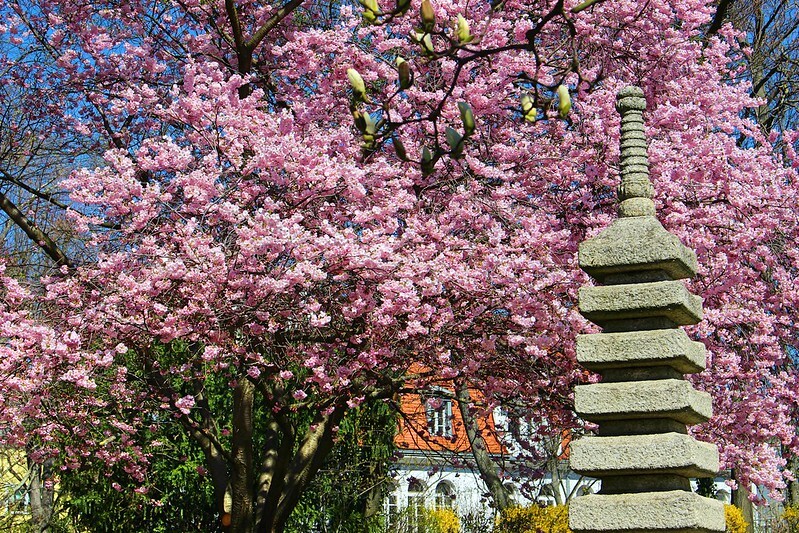 Our Japanese garden, Setagayapark, only opened in 1992, and a plaque in the centrally located Stadtpark dates the cherry blossoms there to 1996. So the fact that “sakura mania” is a fairly recent phenomena in Austria might explain why locals aren’t quite as into it as the expats. 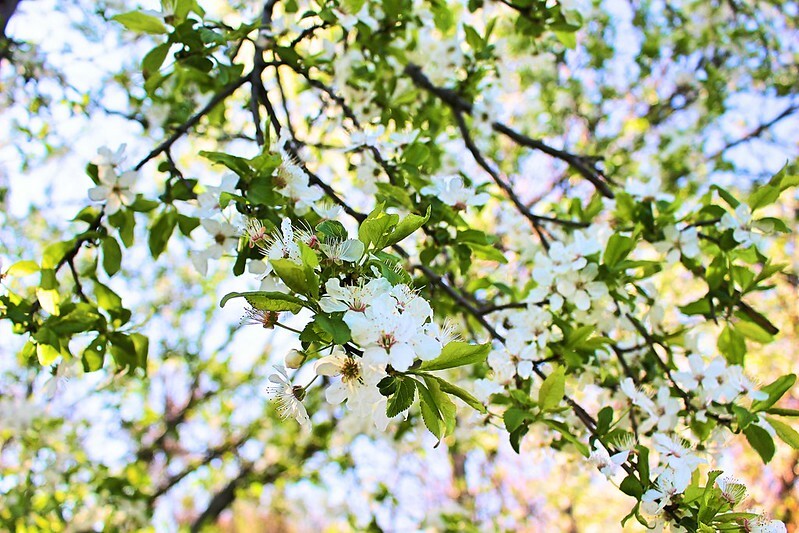 The trees flowered early this year, and during the first and second weeks of April I criss-crossed the city in pursuit of as many as I could find. On my first expedition, I got hopelessly lost somewhere in Vienna’s 10th district. I followed a path into a Stadtwildnis (city wilderness) overlooking the Neu Marx. I startled upon a feral cat colony and pointed my camera away from homeless tents, but just when I thought I’d totally wasted my afternoon, I spotted a cluster of white flowering trees. 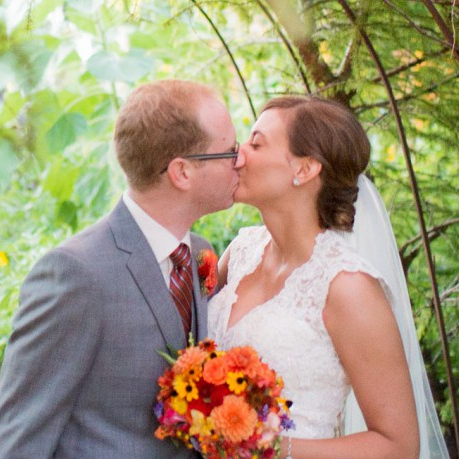 At the time, I assumed the trees were dogwoods or something similar. But maybe I inadvertently found my first cherry blossom? You tell me: Cherry blossoms or no? 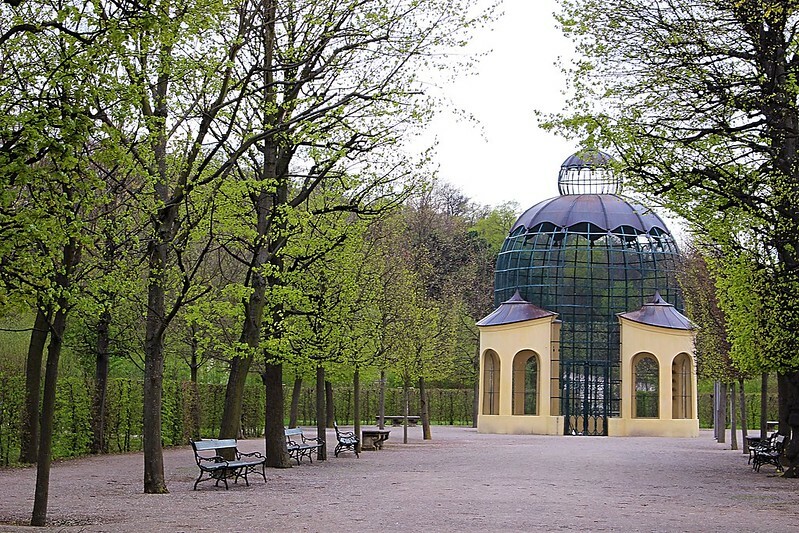 I plotted out my second expedition more carefully and headed north to Setagayapark, which is home to what is probably the largest cherry blossom tree in Vienna. Even though it was a weekday and well after the lunch hour, I still had to wait in line to take my picture as picnickers shot dirty looks at those of us with cameras. The massive cherry blossom tree in Setagayapark. 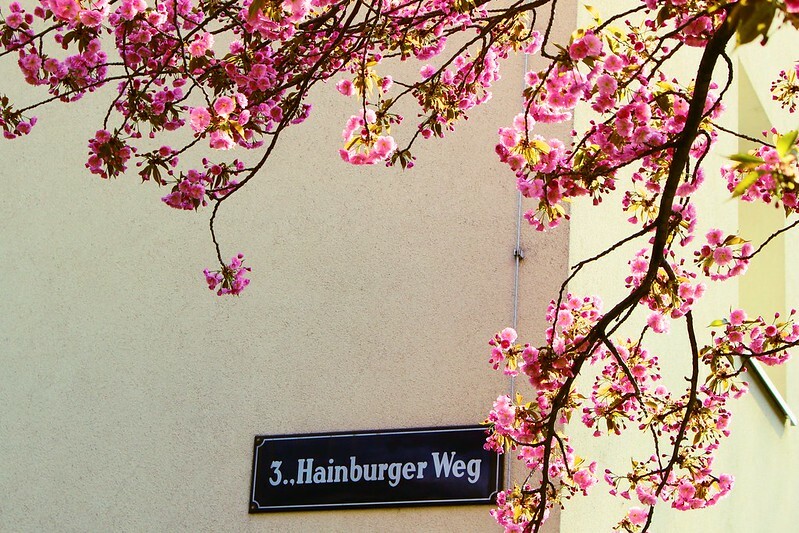 My next stop was Hainburger Weg, an open secret among cherry blossom hunters in Vienna. 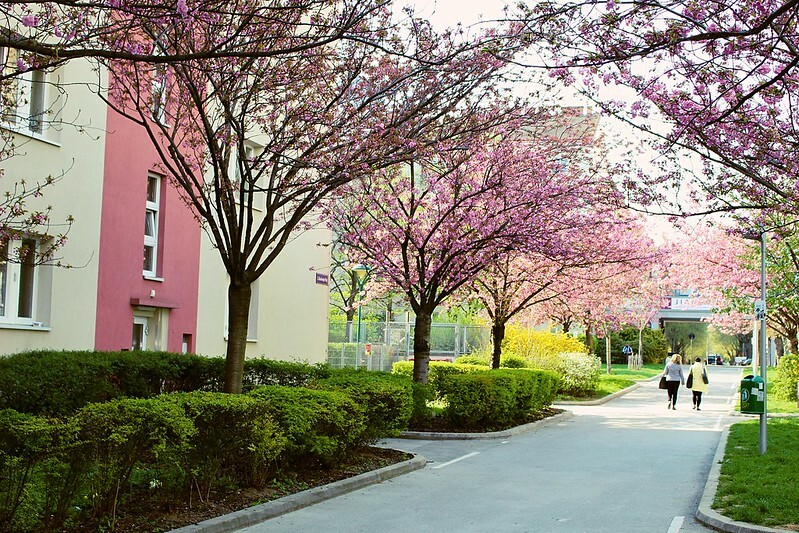 The short street runs between the U4 Schlachthausgasse station and the Jians Institut for Chinese culture and medicine, and for a few days each year the alley is awash in pink. And yes, it definitely smells as good as it looks. Easter markets! 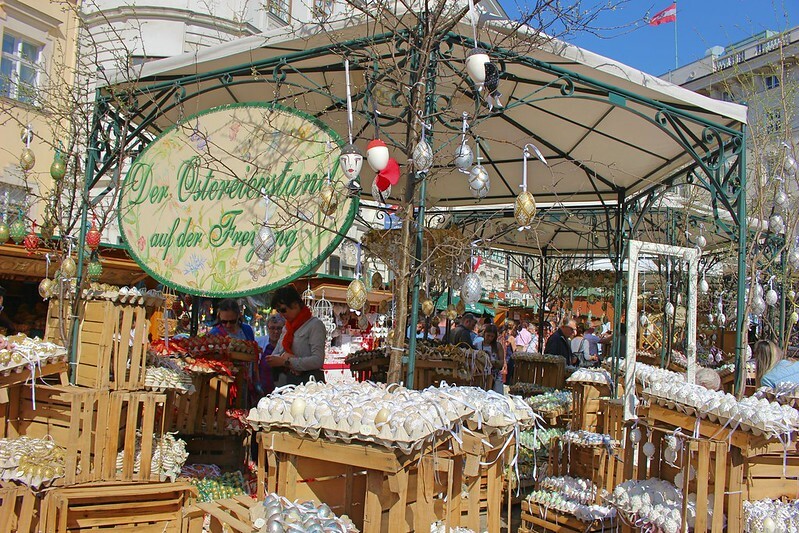 Though the spring markets pale in comparison to the city’s Christmas markets, they’re still a nice excuse to re-visit some of Vienna’s most popular spots. “Egg City” at the Freyung market; most eggs cost between 5 and 15 euros. 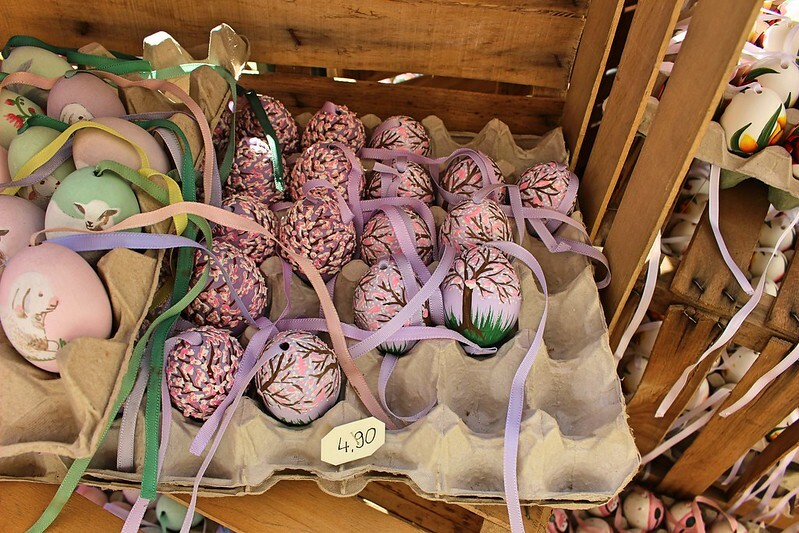 Eggs painted with cherry blossoms = peak Vienna spring. 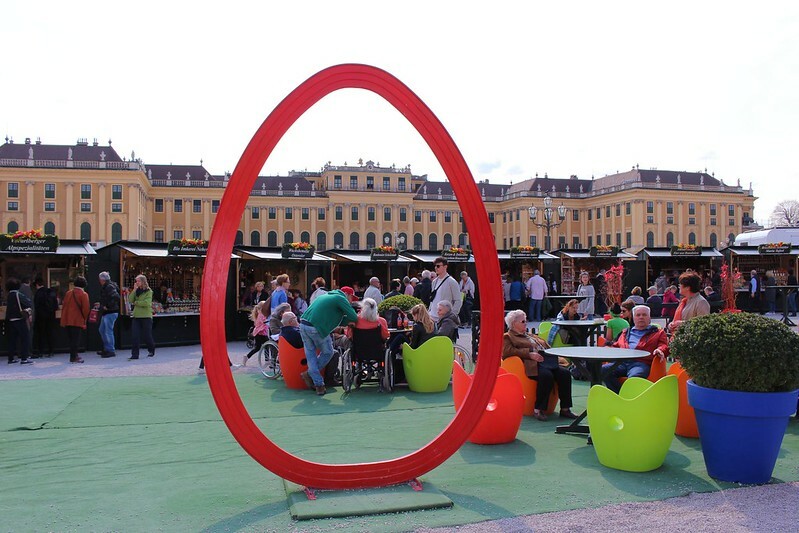 Easter market at Schönbrunn Palace. 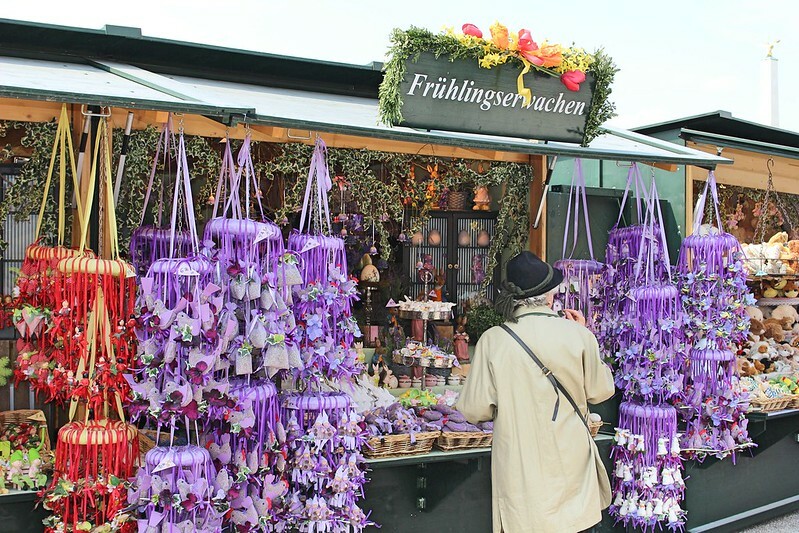 Lavender stall at Schönbrunn Palace. 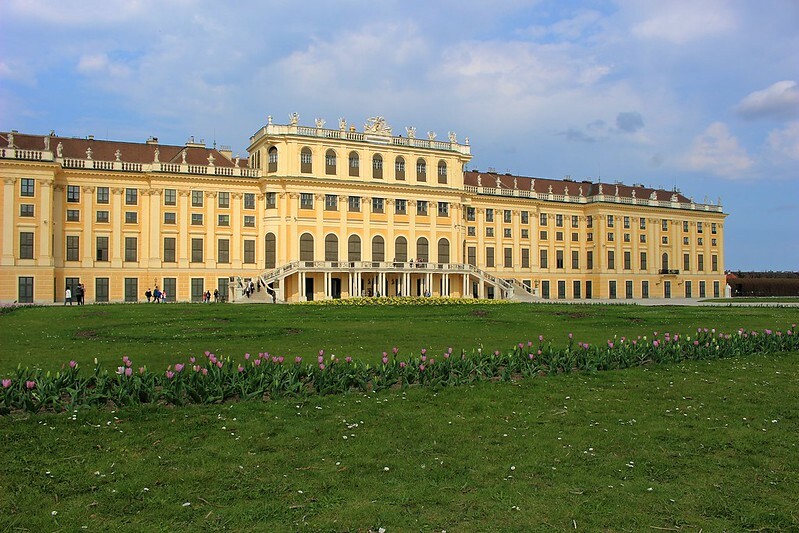 After I had my fill of haggling over pricey decorated eggs that almost certainly will not survive being shipped to the States, I escaped the crowds and took a stroll through the palace gardens. Maybe this birdcage is where all those eggs are coming from? 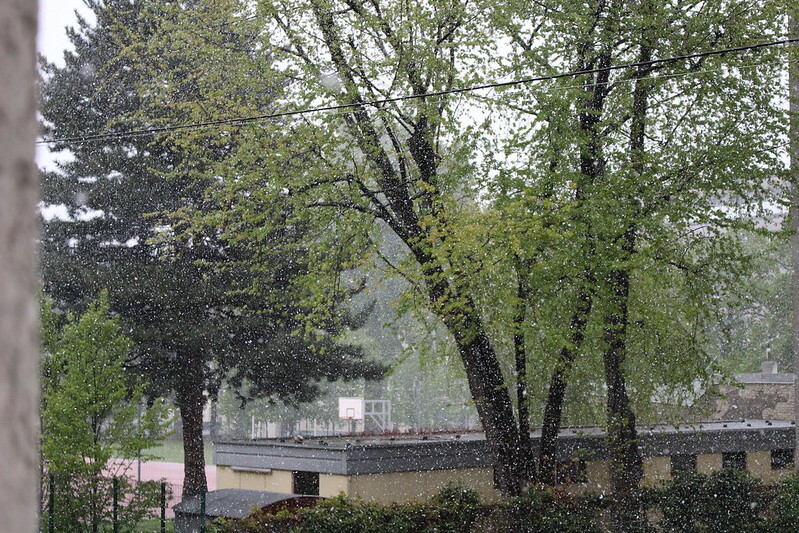 THAT IS SNOW. THIS PHOTO WAS TAKEN IN MID APRIL! So, to keep my spirits from freezing along with the flowers, I shuffled off to a museum. 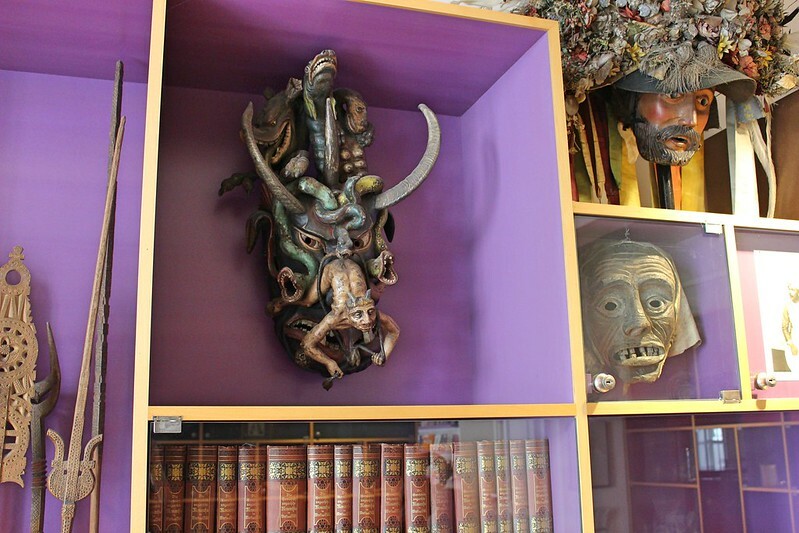 Vienna’s folklore museum has been on my bucket list for months, and I finagled a free ticket through our bank. I was really hoping to learn more about Krampus, my favorite Austrian tradition, but curiously, the museum didn’t reference him by name at all. But, hey, at least I found more decorated eggs. 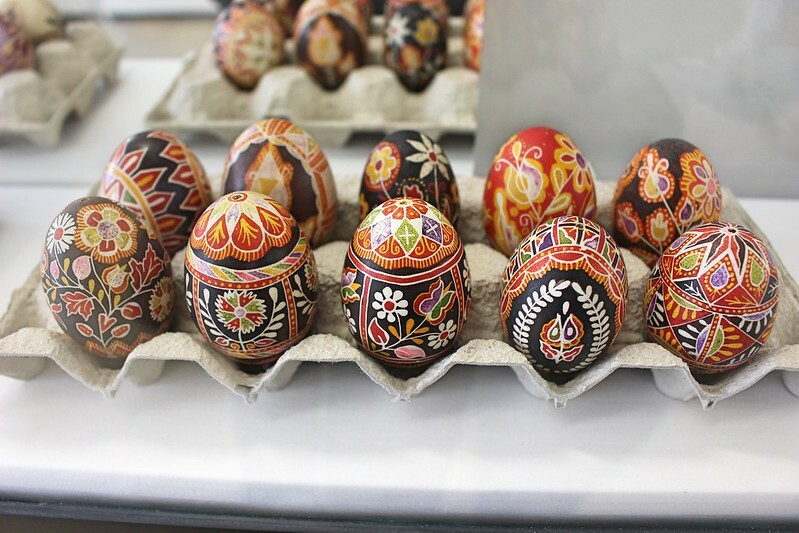 Historic Easter egg designs at the Volk Museum. 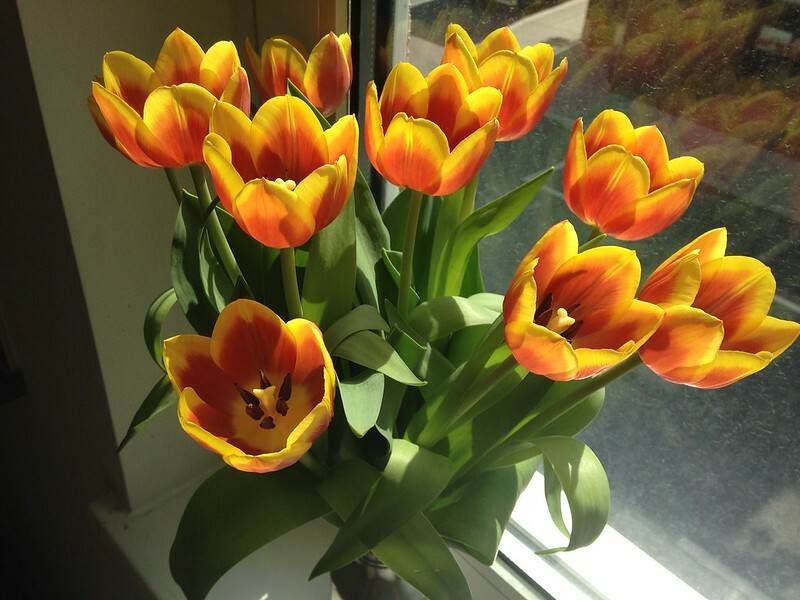 After the snow came a lot of rain, which dampened my April walks but offered one silver lining: it brought the city’s tulips into full bloom. 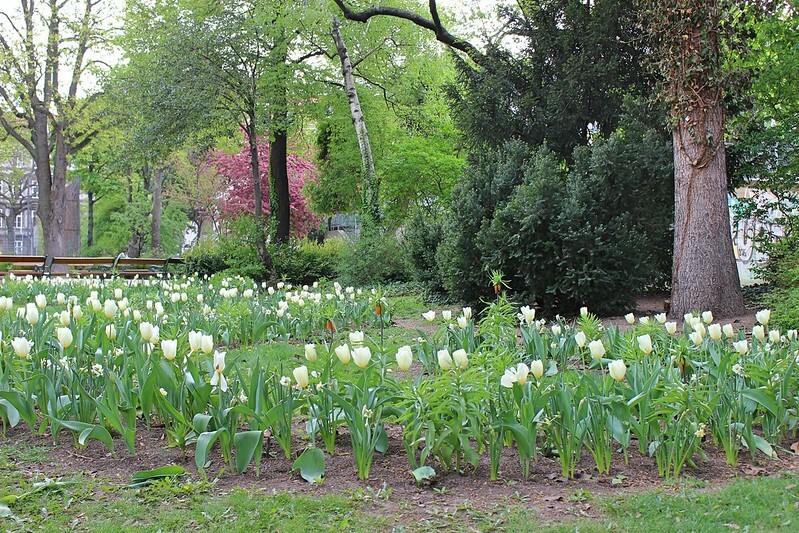 Vienna planted more than 900,000 tulip bulbs last year, and now the flowers are EVERYWHERE. Tulips in bloom at Schonbornpark. Not bad, Barnidge. Not bad. My heart is pounding with all the beautiful cherry blossoms and tulips!!! I would be in heaven if I were there right now. My vote on the white tree is a dogwood, but I am no expert. I just know I used to love the dogwoods in Atlanta and maybe you will see more of them in Alabama. Thanks for brightening up my day with all the gorgeous pictures. Very nice indeed. 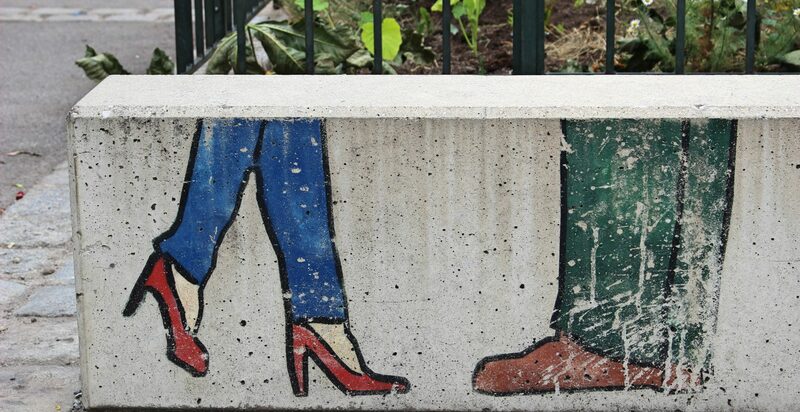 The colors of Spring. Thanks for sharing.